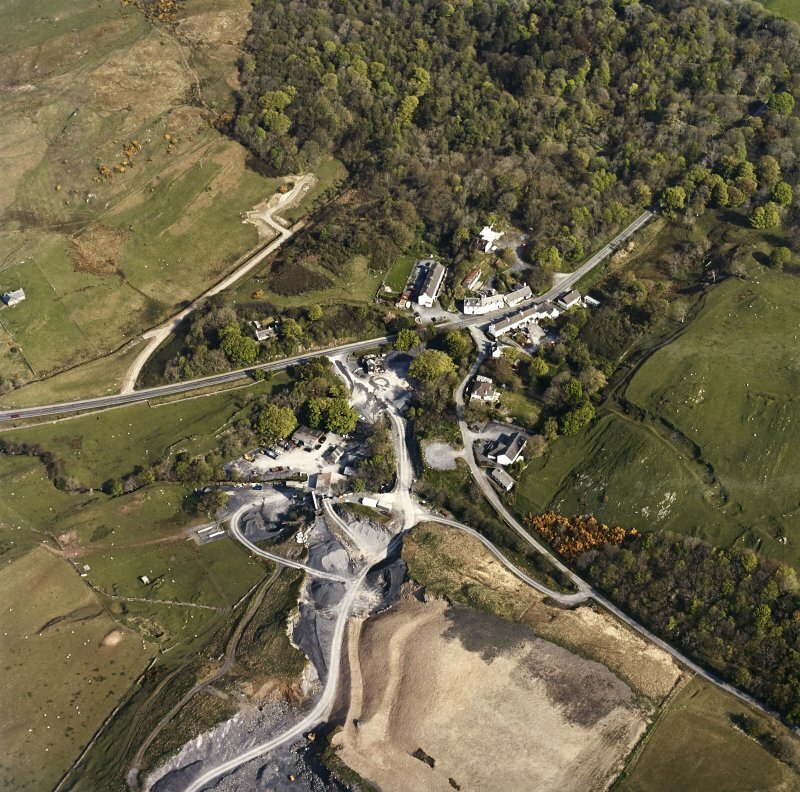 Oblique aerial view centred on the village and watermill with the house and schools adjacent, taken from the E.
Oblique aerial view centred on the village and watermill, taken from the SSE. (Location cited as NR 395 661). 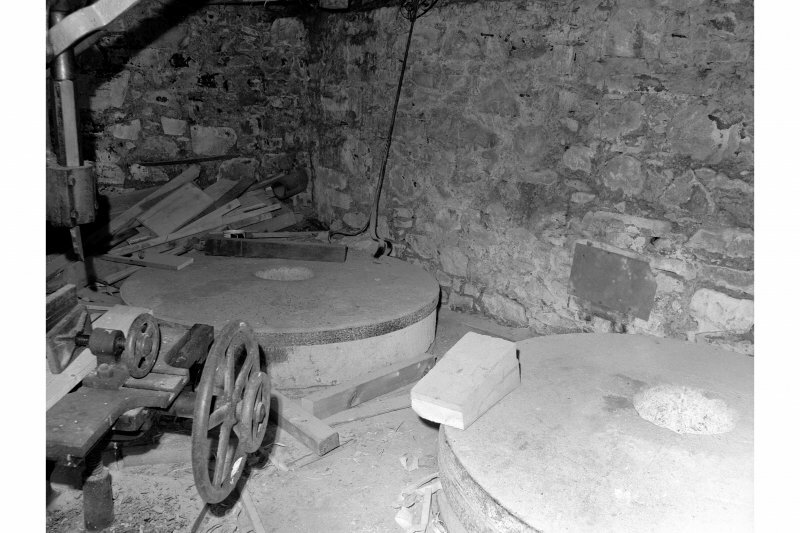 Mill, Ballygrant, 19th century. 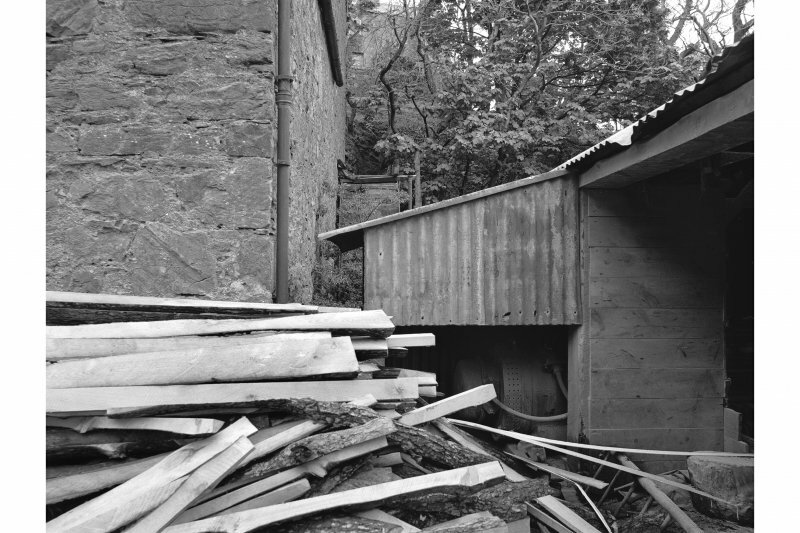 A three-storey rubble block, with a two-storey wing with an iron overshot wheel about 14ft (4.27m) diameter with wooden buckets, which drove two pairs of 54 inch (1.37m) stones. 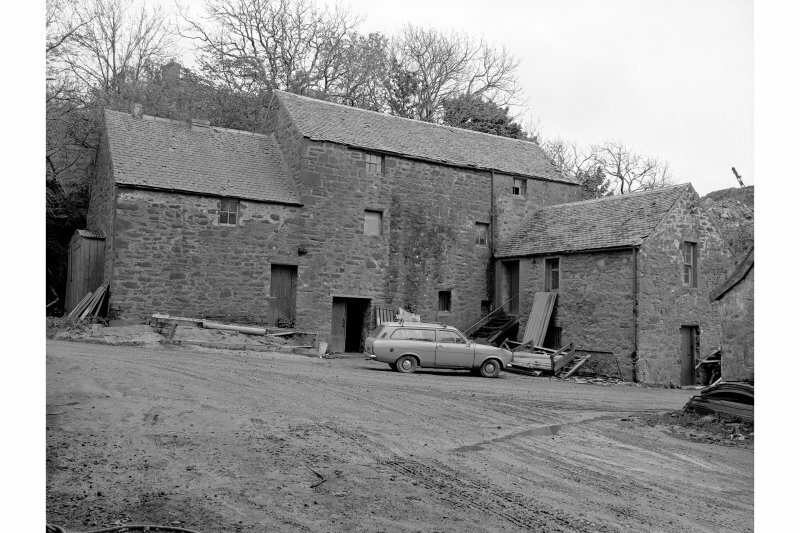 Now a joiner's shop. NR 39479 66101 – NR 39714 66036 A desk-based assessment and walkover survey were undertaken, 23–24 January 2017, in advance of the construction of a run-of-river hydro-electric scheme at Ballygrant Quarry. The walkover survey revealed the remains of 11 mine related features, consisting of mine entrances, openrakes, and collapsed or infilled mineshafts. 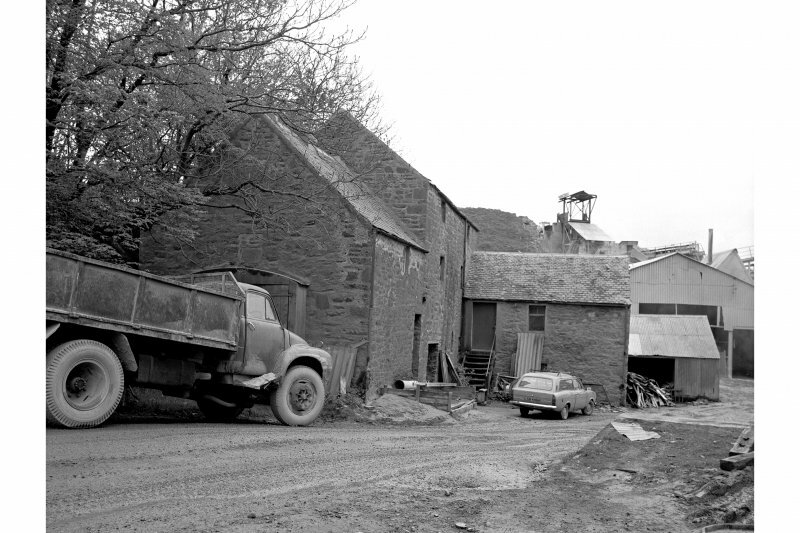 Two stone dykes and a watermill complex were also recorded. 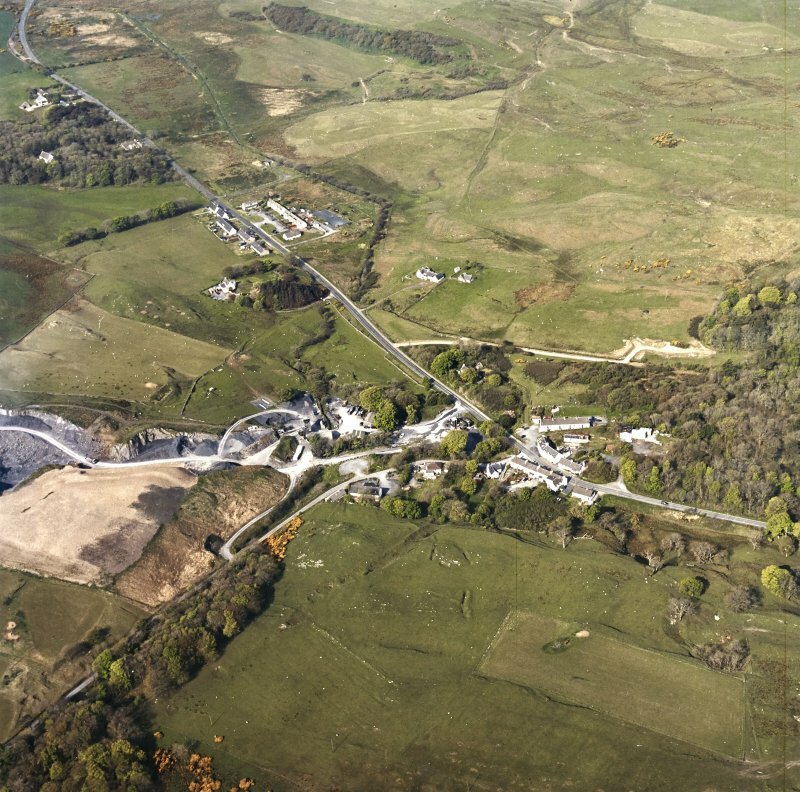 None of the mining sites will be impacted by the works, and access through one of the stone dykes will be gained in an area that has already been cut by previous culvert works.